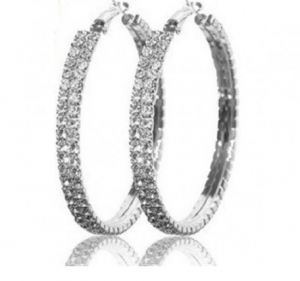 Double Crystal Hoop Earrings As Low As $2 SHIPPED (Reg. $40)! You are here: Home / Great Deals / Double Crystal Hoop Earrings As Low As $2 SHIPPED (Reg. $40)! Have you signed up for this great site yet? If not, be sure to do so to get these Double Crystal Hoop Earrings for as low as $2 SHIPPED (Reg. $40)! When you Sign Up Here you are given the option to connect with your Facebook account. Once this is confirmed you will receive a $5 Credit that is good on ANY purchase. No minimum amount required. That will include these adorable earrings! They also have a full line of jewelry and accessories for under $10 that includes bracelets, necklaces, brooches, vintage inspired, modern twists and more! All you have to pay is shipping, which is $2!